Dr. Erik Wambsganz was born and raised in Maryland. He attended the University of Maryland in College Park where he received his Bachelors of Science in Zoology. He received his Doctorate of Veterinary Medicine eight years ago from Ross University on St.Kitts in the Caribbean. He has an interest in surgery, ultrasound, and building relationships with pets and pet parents. Dr. Wambsganz has loved animals all his life growing up with cats, dogs, cockatiels, horses and hermit crabs. He started working in the veterinary field as a veterinary technician for five years before going off to vet school. He loves learning as much as he can about helping pets and giving the highest level of compassionate care. His goal is to improve the lives of people and families through helping their furry family members. 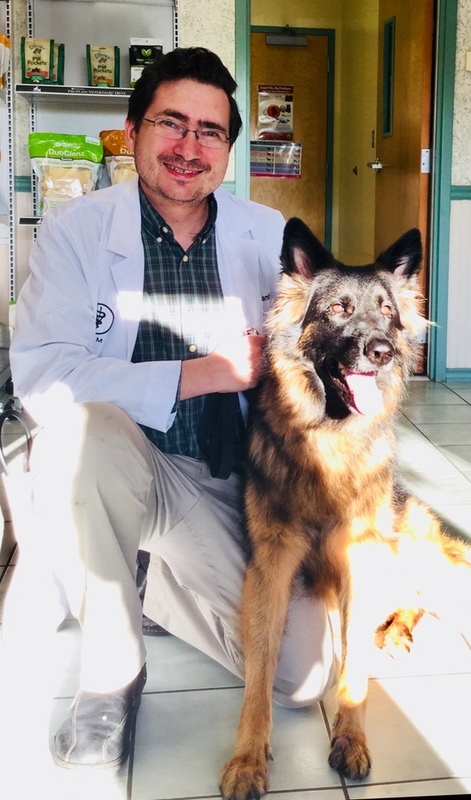 He has recently moved to the Centreville area and joined the team at Clifton-Centreville Animal Clinic. His calming manner and broad experience make him a welcome addition to the care team. He enjoys cycling, board games, movies, museums, cooking, and hiking.